Who will win the big fight tomorrow night? One of the biggest British fights of the year will take place tomorrow night, Ricky Burns will defend his WBO Lightweight crown against Kevin Mitchell. Burns is the favourite, and he deserves to be, he's a two weight world champion, and he beat the guy who destroyed Kevin Mitchell in three rounds. Mitchell however is a live underdog, he has excellent boxing skills and he is the bigger puncher of the two. The popular view is that Burns will win a close decision. The fight is in Scotland, Burns is more experienced at world level and he has looked better in his recent fights compared to Mitchell, so I agree with the view that Burns will win a close competitive fight. The winner of this bout has plenty of options, John Murray, Scott Harrison and the winner of Adrien Broner Vs Antonio DeMarco. It looks like the more realistic option for the winner will be former Scottish World Champion Scott Harrison. Although I think Harrison should try and beat a good contender first like John Murray or Anthony Crolla before he fights for another world title. If you want to read a really good article on this fight then read this. 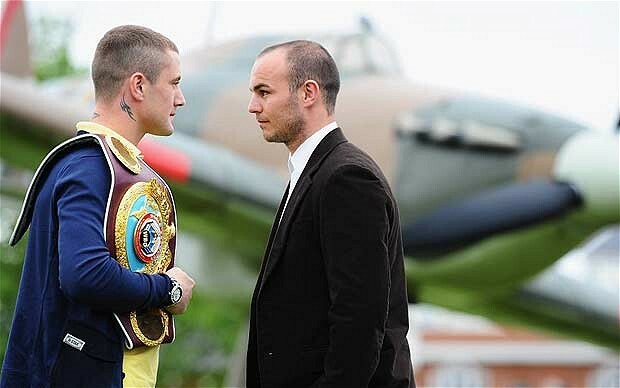 In this article British boxers, trainers and pundits give their take on this Saturdays clash. It's always interesting to read what other boxers have to say about upcoming fights. I expect the Burns/Mitchell fight to be very exciting, and I think the winner will go on to have some even bigger fights in the Lightweight division.